* This set contains a soft and breathable premium cotton percale cot quilt cover with removable cotton duvet inner and a matching pillow case. 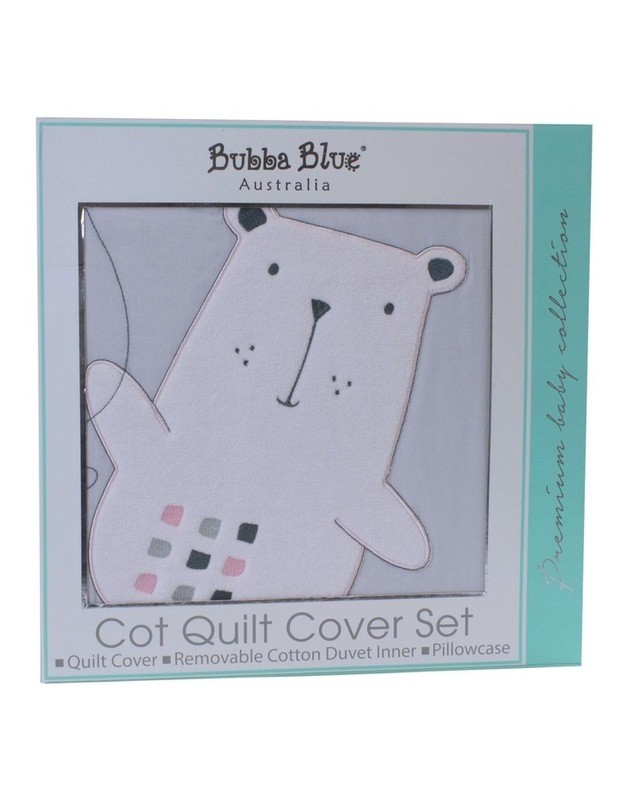 * Quilt cover features fun embroidered bears in soft greys and pretty pinks. * Ideal size for a cot or toddler bed.